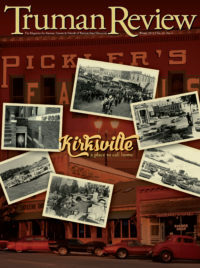 The magazine for Truman State University alumni, parents and friends. Truman’s first-time pass rates on the uniform CPA exam continue to be among the highest nationwide. In August, the National Association of State Boards of Accountancy released the 2017 CPA exam results related to first-time candidates. Truman ranked: fifth in the nation out of 281 medium-sized programs; 22nd in the nation out of the 797 institutions with 10 or more reported candidates; second in Missouri; and first in the nation on the REG section for institutions with at least 20 REG exam candidates. Truman candidates passed 77.4 percent of exam sections taken with an average score of 80. Nationally, the pass rate was 52.9 percent with an average score of 71.3. Student performance on the CPA exam was among the top three percent and evidence the University’s curriculum and focus on student learning continues to provide high value. Truman is one of only 187 universities worldwide accredited in both business and accounting by AACSB International—The Association to Advance Collegiate Schools of Business. AACSB accreditation is the internationally recognized, specialized designation for business and accounting programs at the bachelor, master and doctoral levels. This entry was posted on January 3, 2019 by tmiles.